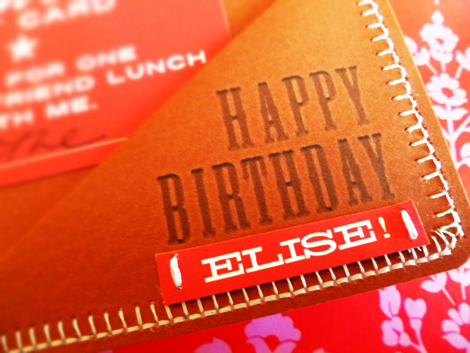 Tuesday is my dear friend, Elise’s birthday! What better day to celebrate than to be a part of my very first blog hop with lots of her friends?! The lovelies from the “Just Us Girls” Challenge, aka: JUGs, organized this fun surprise birthday hop for her! Elise, being the fabulous paper crafter/designer that she is, creates the loveliest of cards and stamped pieces and is a fabulous designer for several scrap & embellishment companies. I learned more about the scrapbook industry from her in one weekend at CHA than I could have ever hoped to on my own. Elise is also one AMAZING fine artist. AND, she’s my favorite cowgirl! 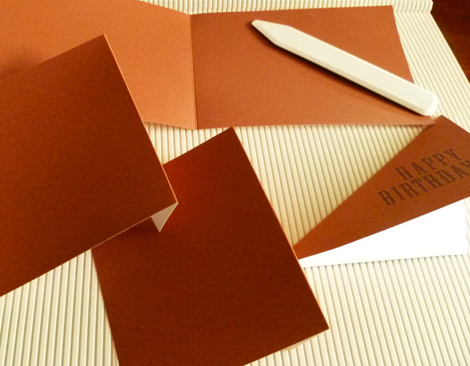 So this project is a special birthday treat for her and a free download and tutorial for you. Please sure to check out all the links at the end of this post and when you find yourself at Elise’s blog, Mamacow Creations, I’d just love if you would leave her a nice birthday sentiment- Thank you. 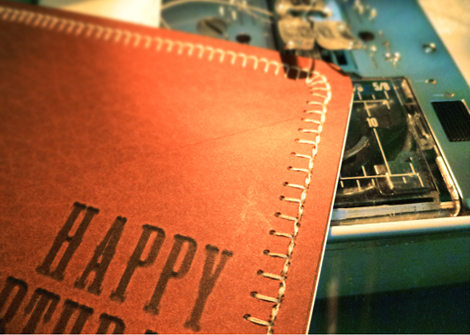 For this paper wallet project, download the two free PDF files, No.1 HERE and No. 2 HERE. Print images to bright white cardstock using your printers finest settings. You can tell I don’t mind using my printer’s ink for some projects. I wouldn’t recommend printing multiples of this project, but if you are doing one or two, I think it’s worth the ink. 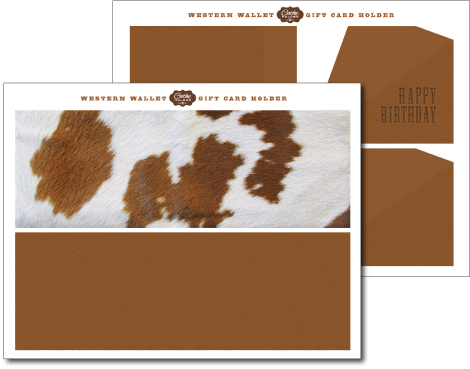 If you are doing many, you may want to consider purchasing some brown cardstock or scrapbook paper to use instead of the brown textured leather images. File No. 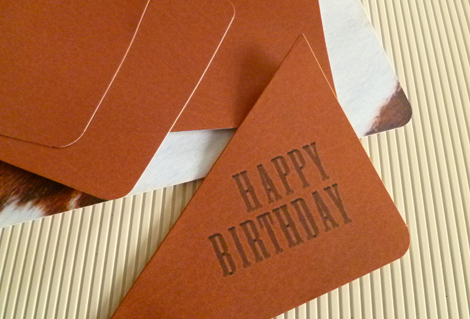 2 has a pocket image with HAPPY BIRTHDAY and another blank for other uses. 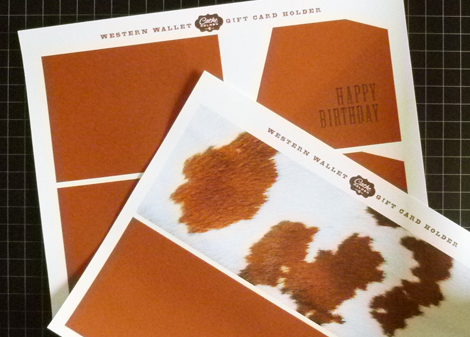 After printing and before trimming, you may opt to cover all with Contact paper, front and back for a more permanent piece. You can also create another long back pocket for bills. To make templates for creating wallets from beautifully patterned scrapbook paper, print the files in black and white at a reduced screen level. Once pieces are printed, trim out each piece. Use only one of the angled pockets. Score pieces to fold along flaps and fold back flaps. Create one or two scores down the center of the wallet front and back. Use a rounder punch (or scissors as the very last step of the project) to round off the corners of all pieces where needed. Not all corners will be rounded, such as around the folds of the pockets. Assemble all brown pieces stacked, back those up to the marbled hair image and head off to your sewing machine. Stitch around all pieces using a stitch that closely simulates a leather stitch. To personalize, create a little name “tag” and either stitch to angle pocket under HAPPY BIRTHDAY before assembling pieces or sew an in-place zig-zag stitch onto your tag and glue in place after wallet assembly. Now, tuck some goodies into the pockets! 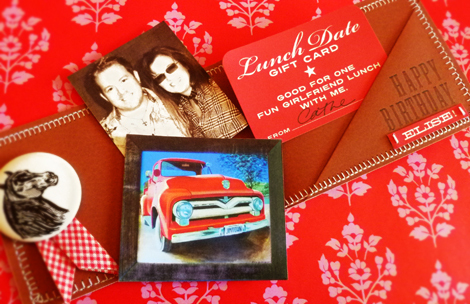 I included a photo of Elise with Tim Holtz, my favorite Elise Durenberger painting, The Jimtown Truck, and a gift card for a lunch date with me! This entry was posted in Birthday Craft, Free digital downloads, Free PDF files, Paper Crafts, Uncategorized. Bookmark the permalink. Well bust my buttons! This is pure Cathe Holden craft MAGIC! 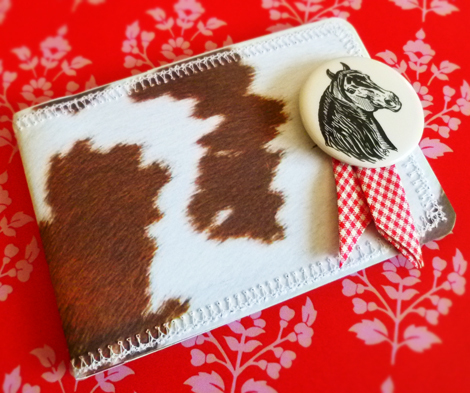 If this wallet was any more cowgirl cute it would hop right up and yell, what else? but YEEEE-HAWWWW! I love it! Thanks so much for sharing your project PDF and technique with us….I don’t think I can resist making one of these with contact paper for my purse it is so cute! Elise is going to fall over when she sees what you have made in her honor. A work of art, truly…. you my friend(taking liberties here), are so freakishly gifted. as gifted as deeply as the grand canyon kind of gifted. a bottomless pit of generosity to go with that. i can think of more than one person that would go ga-ga or yee-haw for this wallet. i want to make it with duct tape over it. 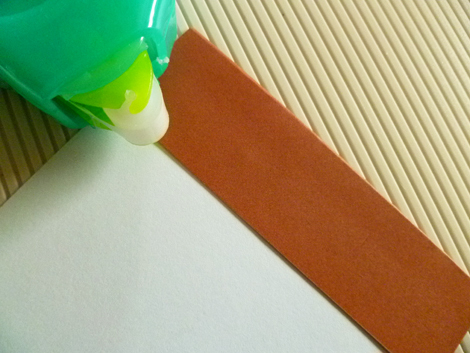 of course dana is right, it is a total fit for contact paper or lamination of pre-construction parts. i must see if i can do this. it challenges every inexperienced paper using finger in my body. thank you for the new challenge as well as the cleverness of what is essentially you. thank you for sharing the how-tos. fantastic – just pinned this! Well, this will get a big yee-haw from Elise for sure! Thanks for the download and always having such great fresh ideas!!! Wow! 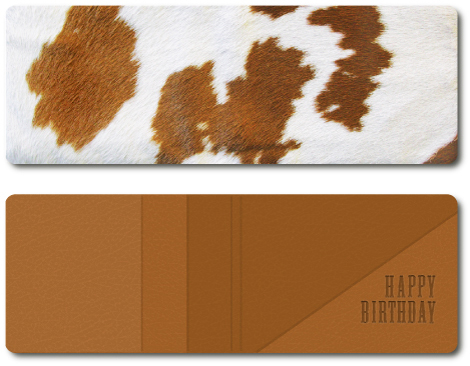 Is this ever just the most creative and well thought out birthday present for the cowgirl we all know and love! Love it Cathe! WOWZAS! What an AMAZING birthday gift! It looks JUST LIKE a real wallet!!! WOW! And the contents are fabulous! So perfect for a cowgirl, like Elise! Cathe, BEAUTIFUL work! I’m sure Elise will treasure this as much as she treasures your friendship! Thanks for the links to the downloads! WOW, WOW, WOW!!! Awesome project, may have to try it out for my GF’s! Thanks for hosting the blog hop too. Wow, stunning, you are truly a very taleted lady. Nicely done I think I saw that red glow all the way in Arizona as Elise was beaming so brightly from such an amazing creation. Oh.my.gosh!!!! This is fabulous! What a perfect gift for Elise! The photo of her and Tim is hands down a fabulous ‘touch’!! How amazing is this! I am sure she will love it! I can’t believe that is paper! 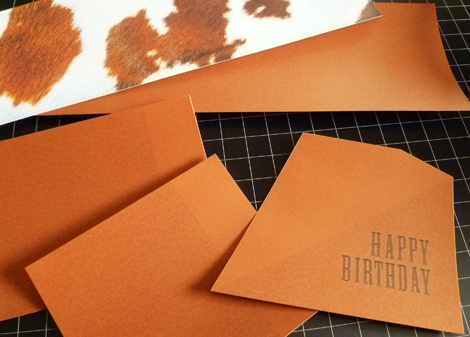 It totally looks like actual leather! Gorgeous! My neice-in-law is turning 30. She loves creating but has very little time and she also rescues animals including 2 horses. I know she will go ape over this, thanks so much for sharing. What a fabulous design, and perfectly suited for Elise! I!m going to make this for Father’s Day for my Louis L’amour fan father! Thank you Cathe! Wow! I can’t even imagine such a card!!! So very creative!! I love your blog come here daily to see what new creations you have come up with, such a creative mind of yours and also reminisce over all of your past creations!! Thank you for being so brilliant!! 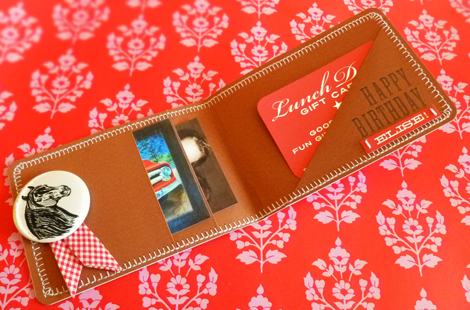 What a fabulous gift card holder! It really is worth all that printing – it’s simply gorgeous! Thanks so much for the printable – this one’s a keeper and will be used over and over! Happy Birthday Elise! GAH! This is crazy cute. I LOVE the pony hair! You come up with the most amazing things! Thanks so much, I’ll be linking. What a unique gift and birthday “card” all in one! I so love this one.. I can never find something like this give.. you go girl..